The restaurant has been in operation through three generations for over 50 years. If you like to have a quiet breakfast or a meal in Paget at a reasonable price, then this is a nice option. Paraquet is located on South Shore road and about 10 minute walk from Elbow beach. The restaurant is typically visited by the local Bermudian families with kids who are mostly repeat guests. The location is peaceful with a small lawn outside (no outside seating though) and the building is a typical Bermudian pastel pink bungalow with white slanted limestone roof. Inside, the ambience is quiet and very simple. White walls, green table tops, brownish tiled floor, and green borders on the walls make it soothing to the eyes. There are couple of dining rooms. One with two large U shaped tables lined with cushion topped stools. This is more for casual dining and mostly occupied by the locals. The other dining room has tables and cushioned chairs. Coming to food... the restaurant has been very popular for its traditional Codfish breakfast served on Friday through Sunday, and has won '2015 Best of Bermuda' award for the best codfish breakfast in the island. They also serve bread, bacon, eggs, pancakes, waffles, tea, coffee etc during breakfast. The menu during lunch and dinner includes homemade soups (including Bermuda fish chowder), salads, appetizers, sandwiches, wraps, grilled items, seafood, pasta and even nice burgers & subs. And there are nice options for desserts like homemade pies, chocolate cakes, ice creams, tarts etc. They have a special kids menu as well. Some of the local favorites here includes the homemade soup, cheese burger, turkey salad, classic egg salad sandwiches, homemade lemon meringue pie, buffalo chicken wrap, chocolate milkshake etc. Paraquet makes daily baked items including pastry-topped mini apple tarts, banana breads, cookies, cakes etc. Try out the chocolate cake which is always fresh and moist. Another favorite here is the homemade meatloaf wrapped in bacon, mushrooms, fried onion strings and served with mashed potatoes & vegetables. Jerk chicken is also nice. For seafood they usually use frozen Wahoo. Lobsters are available during season. They also have take out. The guests putting up at nearby Elbow Beach and Coco Reef hotels are often seen to dine at this restaurant or returning with take out packets because of the high price tags at the hotels' in-house restaurants. Alcohol is not served at Paraquet. 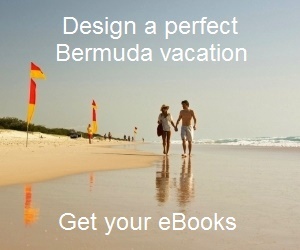 Service is okay (nothing exceptional) and perhaps at per with the average in Bermuda. Note that Paraquet also has guest apartments located right next to the restaurant. You don't need to make a reservation and can simply walk in. A big advantage of this restaurant is that it remains open daily till late night. So if you return late, this is one restaurant which can come to your rescue for late dinner. Dress code is smart casual. Soups & Salads: $7 to $16 Appetizers: $8 to $14, Main Courses: $18 to $25, Dessert: $6 to $9. Daily, 8am to 12am. Serves Breakfast, Lunch and Dinner. They are located in Paget on South Shore Road and about 10-minute walk from Elbow Beach. You can take bus#7 from Hamilton City or Dockyard and reach the restaurant. Hamilton City is only 10 minutes drive from the restaurant.